It formed part of the Székely Land region of the historical Transylvania province. 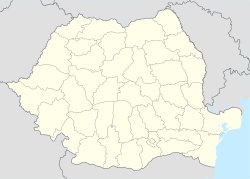 Until 1918, the village belonged to the Maros-Torda County of the Kingdom of Hungary. After the Treaty of Trianon of 1920, it became part of Romania. ^ Romanian census 2002 Retrieved April 20, 2010. This page was last edited on 22 March 2017, at 18:39 (UTC).